Capt. George is a U.S.C.G. 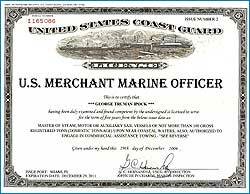 licensed Master 100 ton near Coastal ( out to 200 miles offshore) license with sailing & towing endorsement. He has American Red Cross first aid and American Heart Association C.P.R. certification. He is a member of The Maritime Consortium. Also a PADI Dive Master. Currently Capt. George is a full time Captain during the summer for the Boy Scouts of America. Capt. George also teaches onboard one on one anyone wishing to learn docking, close quarter maneuvering, trip planning and navigation. With boats ranging from 30' to 85' Capt. George has traveled from New England to Florida and the Keys, the Great Lakes, the New York Canal System, as well as the Hudson River from Lake Champlain to New York Harbor. Also across the Gulf of Mexico. Capt. George recruits other Captains and crew with great experience of their own to assist him on deliveries or to make their own deliveries. 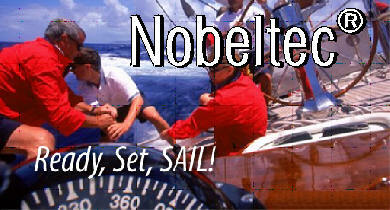 This makes North Star Yacht Deliveries a highly professional organization. Able to serve your every need. Born and raised in Oriental, NC. At an early age of thirteen George started commercial fishing during summer vacations with his father. Capt. George has over 50 years boating experience . He has severed as Captain on 75' to 85' commercial shrimp boats, from North Carolina to Brownsville, Texas. As the commercial fishing industry became more and more challenged with government regulations and rocketing fuel prices George decided to put his background to work and decided to open a small business. Capt. George served in the US Navy as a navigator. His duties included steering the ship ( Aircraft Carrier) Chart correction, teaching helmsman to steer the ship. His duties also included all aspects of navigation, also shipboard fire fighting and damage control. Captain George has made three trips across the Pacific Ocean. After the Navy Capt. George returned to commercial fishing. More recent Capt. George has operated a Ferry Boat, Dive Boat and Sailboat for a exclusive Resort in the Florida Keys. Capt. George serves as one of the Captains for the Boy Scouts of America, taking the Scouts on fishing, sailing and snorkeling trips. 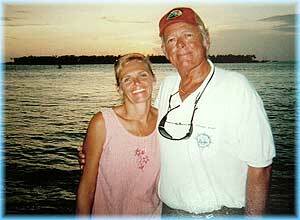 He also has worked for Tow Boat US in the Keys, and St. Augustine. Capt. George is married to his 1st mate Nancy. She assist him with all deliveries serving as mate, standing watch, deck hand, and cook. George is a non smoker and non drinker and you can count on him being fully capable at all times when taking charge of your boat. He looks forward to being of assistance to you and/or your customers.